Ultra Lightweight Rigid Wheelchairs by Quickie come loaded with premium features for anyone who is ready to take performance seriously. These ultra lightweight rigid wheelchairs are perfect for people who prefer and active lifestyle and have the upper body strength to support it. Sportaid offers Quickie Ultra Lightweight Rigid Wheelchairs at affordable prices, and our primary goal is to provide optimal comfort and satisfaction with our feature-rich products. Whether you go for the Quickie GT Wheelchair or Q7 Wheelchair, we have the mobility solution to add some convenience to your independent life. Quickie ultra lightweight rigid wheelchairs allow you to move comfortably without any assistance. 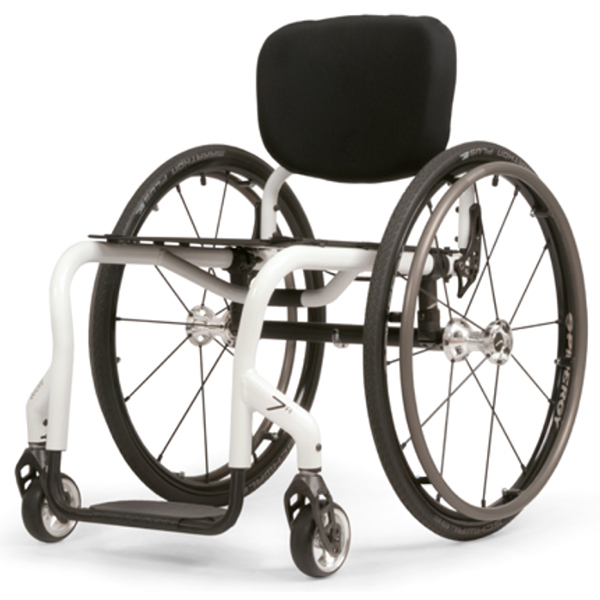 To ensure a smooth and effective movement, browse through our high quality collection of Quickie Ultra Lightweight Rigid Wheelchairs or feel free to call 1-800-743-7203 for help choosing the right option today. You'll be glad you did! Save up to 30% on Quickie Ultra Lightweight Rigid Wheelchairs at Sportaid today! Take advantage of Sportaid's satisfaction guarantee for all customers, new and returning. After over 25 years in the business helping people find Quickie Ultra Lightweight Folding Rigid Wheelchairs at the lowest prices, we are still the industry leader! Sportaid is home to an extensive range of wheelchair cushions, wheelchair parts, and accessories. We are capable of beating any competitor's advertised price, just call! Our customer service staff has over 50 years of experience, plus over 90 years of combined wheelchair use experience. We look forward to working with you! Going on three years since purchased. This is a terrific chair. Pros: paint wears like iron. The minimalist frame design is perfect. I thought the gigantic rear tires overkill until I took it out in deep snow and realized they float over it. I put 3/4"x15" hand rims on to keep hands out of snow. had to cut inside row of knobbies away and strap knees together to preserve pants. Easy to remove uphoustery. holes for front brand plate perfect for water bottle mount. cons: front wheel bearings are cheap and wear out fast. Frame came a little long in length. 1/2" or so. Included strapping a mystery. Used it as calf strap. I have 42 years as T4 tramatic para and this is the best chair ever.